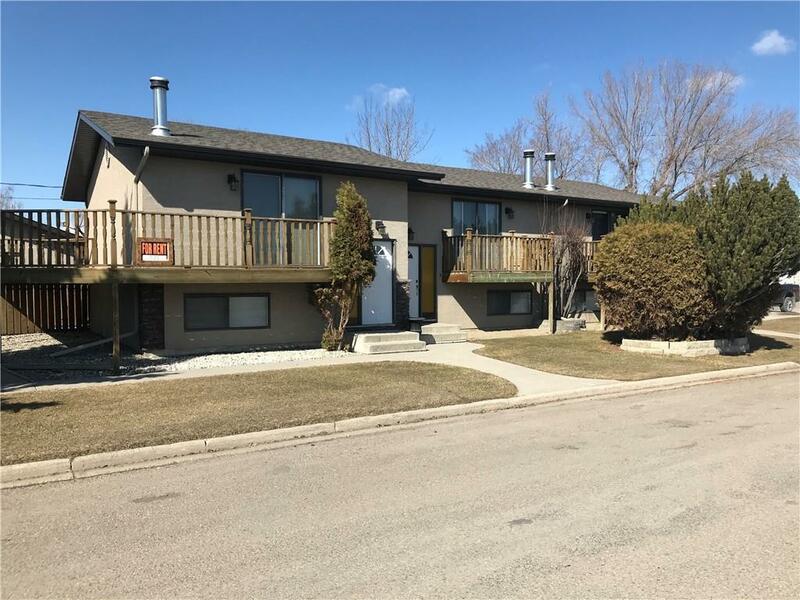 Very well maintained and updated 4-plex located in the town of Claresholm. 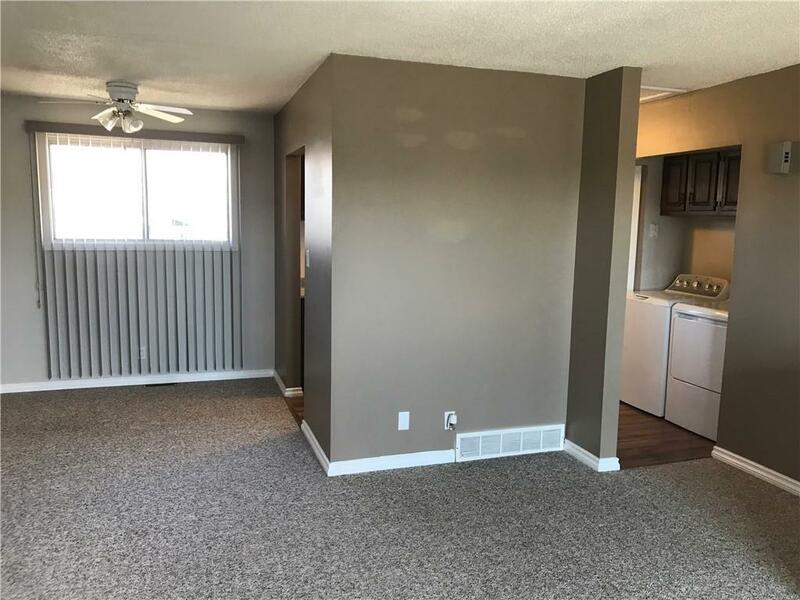 Each unit features two bedrooms, fireplace, two of the units have front and rear elevated decks, two units have large wrap around decks. Recent updates include acrylic stucco with stone accents, hot water tanks, furnaces, elevated decks, shingles, fencing, poured side-walks. 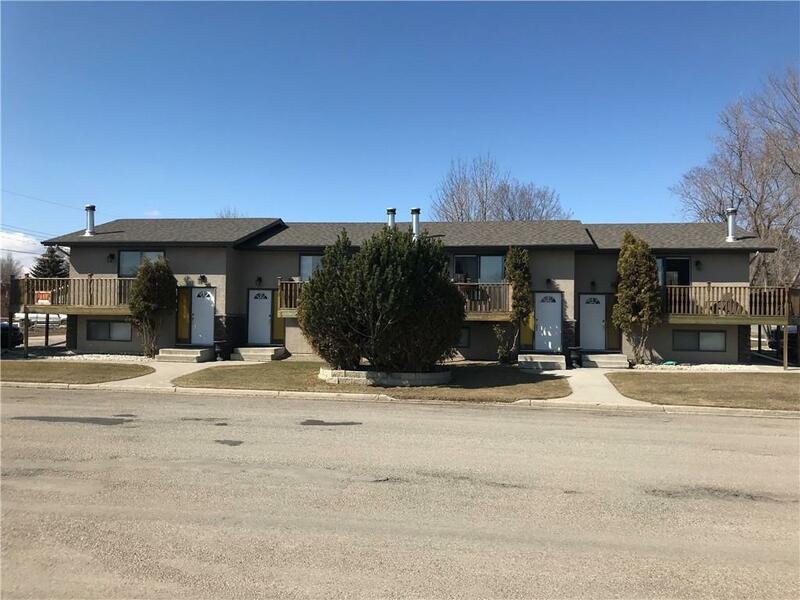 Off street parking for six vehicles, nicely landscaped with large trees and numerous flower beds.4-plexs of this quality in Claresholm are limited, the property has always been maintained by the owner who occupies one of the units. 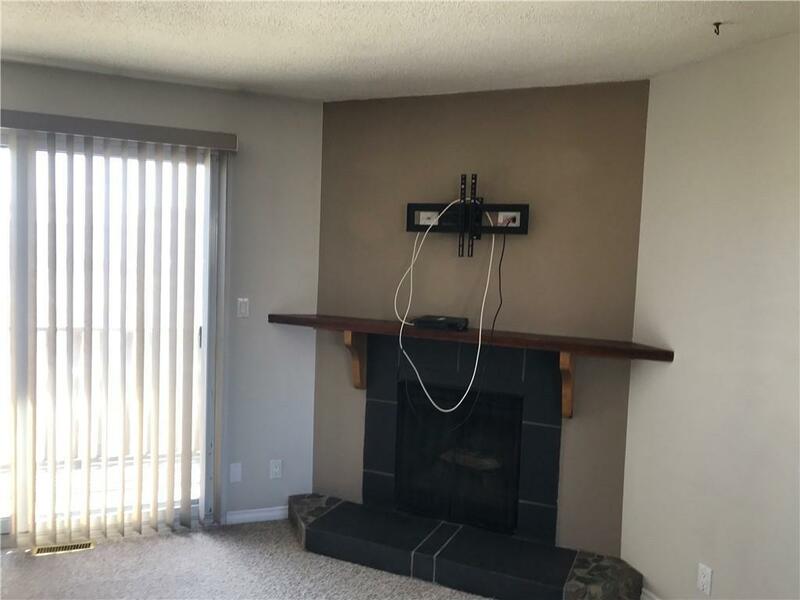 Units have consistently rented for $850 to $900 plus utilities, providing a great return on investment. Claresholm is experiencing growth with a new Medical Cannabis Plant starting up in the next few months creating opportunities for the local rental market.